Equiparts began as a collaboration between two men. One worked in the fastener business, and the other in plumbing sales. 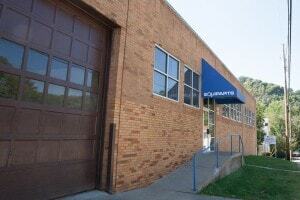 The company was called Maintenance Specialties, and was based at 817 Main Street in Sharpsburg. In 1975, the two men decided to part ways, each forming his own company. One of those companies became Equiparts. In the beginning, Equiparts had only eight employees. Equiparts’ President, Joel Weiss, first came to the company in November of 1975 as a part-time helper, and then became an official employee in January of 1976. He started as a shipper, expanded into shipping and receiving, and was later promoted to purchasing. After that, he also provided customer service by phone, and then later went on the road as an outside sales rep. The business struggled through the 80s, but survived. 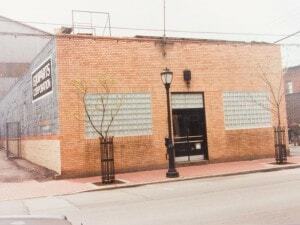 In 1986, a second floor was added to the Sharpsburg building to generate extra income by leasing the space. In 1991, Equiparts purchased its first Macintosh computer and hired its first graphic designer in an effort to expand its advertising. In 1992, the original owner of Equiparts sold the company to Joel. That’s when the business really took off. Joel increased the company’s marketing efforts in order to expand and grow the business. They started producing small 24 page newsprint catalogs on a yearly basis, as well as quarterly sales fliers. Sales grew tremendously through the 90s as they began to focus more on commercial and institutional customers. In 1994, the company took over the second floor of the 817 building. At first it was used to store more inventory, then later it became the home of the administrative and graphic arts offices. In 1999, Equiparts entered the digital world and launched its first website, equiparts.net. In 2003, a second website was created, sloanrepair.com. Equiparts.net was completely redesigned in 2015, and now includes more products, photos, and product information than before. The site now has a blog (which you are on now) that is updated frequently with Equiparts news, featured products, and industry information. Equiparts’ newest endeavor is our drinking fountain site, Equipartsdrinkingfountains.com, that provides users with even more features, like the ability to compare units and parts side by side, and in depth product information including flow rates, add-ons, compatible products, warranty information and more. In 2000, Equiparts was named the world’s first Authorized Sloan Valve Repair Center. This enabled customers to send their out-of-order electronic Sloan Flushometers to Equiparts to be tested and repaired by trained specialists, and have them returned in perfect working order. Also in 2000, Dan Martino was hired as Sales Manager, a position he still holds today. This was a major step forward for Equiparts. With Dan taking care of the sales team, Joel was able to spend more time on promoting the company. 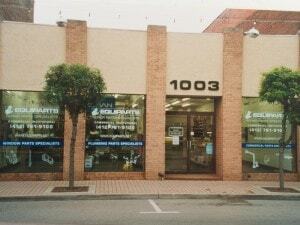 In 2003, Equiparts expanded its counter and parts inventory into a second location by occupying the former Galanty’s Hardware building at 1003 Main Street. After a couple of years, both the 1003 and the 1001 buildings were purchased outright. The second floor of 1001 was used mainly as a conference room until the summer of 2009 when the space became the headquarters for the telesales force. In 2004, Equiparts and a group of nine other plumbing supply companies throughout the U.S. formed a buying group called TMS – Total Maintenance Solutions. By combining resources with the other TMS companies, Equiparts is able to bring unparalleled product knowledge and unbeatable service to our customers. In 2007, Equiparts published its first comprehensive catalog with a durable full-color cover. It contained 208 pages, a far cry from its first catalog – a 16-page newsprint booklet. Subsequent catalogs grew larger in 2009 and 2011. In 2013, the catalog would more than double its size from 2007, growing to 448 pages. (View the 2013 Catalog) An even larger catalog is planned for 2018. In 2012, Equiparts purchased the former Top Hat Tuxedo building at 925 Main Street. 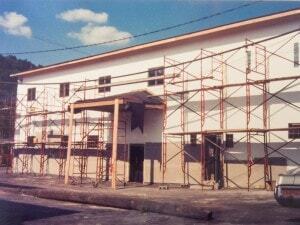 Renovations were begun with plans to transform the building into an electronics showroom. Circumstances changed in 2014, as Equiparts decided on a different strategy. An opportunity arose to consolidate all Equiparts operations under one roof. In April of 2015, the entire company moved to a warehouse at 120 Pennsylvania Avenue in Oakmont, PA. 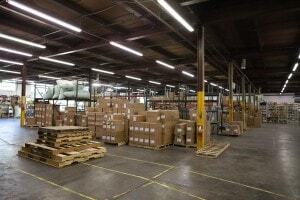 The move will help improve efficiency, and we are very happy in our new neighborhood. Joel says, “The growth and success of Equiparts can be attributed to the intelligence and hard work of our employees in all departments.” Everyone has a specialty, whether it is plumbing, water coolers, electronic faucets and flush valves, backflow prevention, toilet partitions, window parts, locker parts, and many more. With a present staff of 50, the future is looking bright for Equiparts. We can’t wait to see what we will accomplish next! I loved reading about the history of your great company. Congratulations on your success in this great industry. The facility looks amazing.